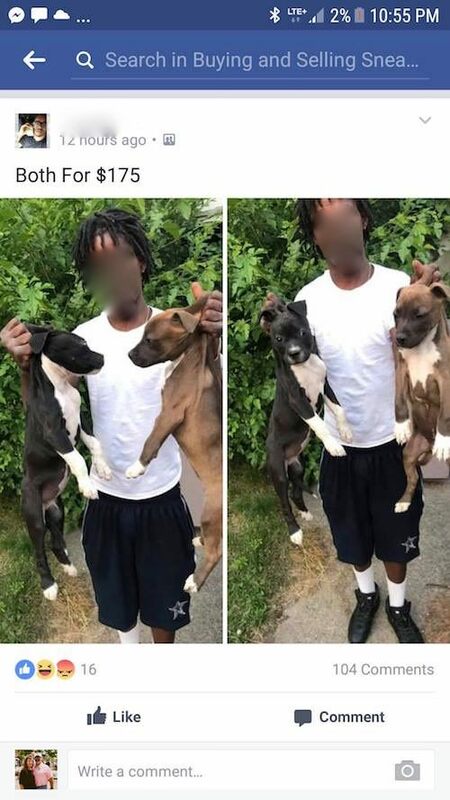 A Shocking Facebook Post Selling Pit Bull Puppies For Dog Fighting Rings!!! We’ve covered several stories involving the Detroit Pit Crew Dog Rescue and the amazing work they do, and here’s another incredible example of how they save innocent lives. When a disturbing Facebook post caught the attention of local animal advocates; they reached out to rescue founder Theresa Sumpter for help. 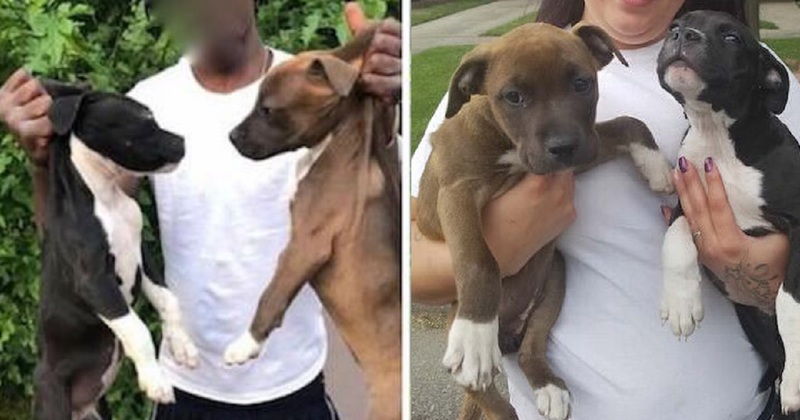 The poster stated that he was selling two puppies; and it included a photo in which he was precariously holding them by the scruff of their necks… And that isn’t even the worst part. 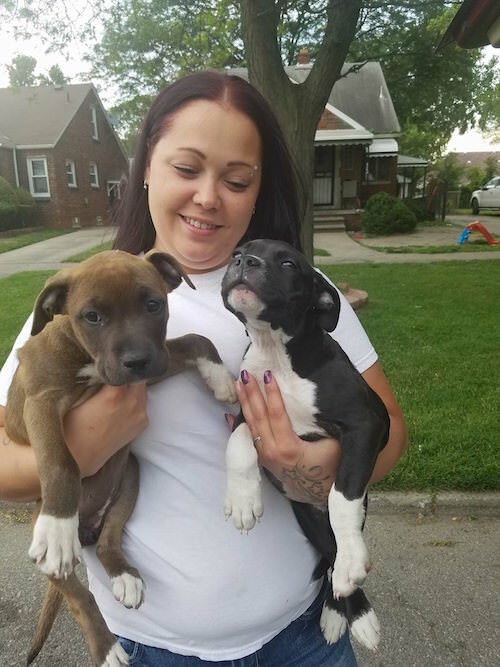 The adorable pups have been named Hazel and Gretel; and are now in the safe and loving care of the Detroit Pit Crew Dog Rescue team. They are mild-mannered and are described as being lovers, not fighters. While no one has been charged, followers of the rescue have urged the local police department to track down and punish those who claimed that they intended to use the dogs for fighting. But for now, the most important thing is that these two beautiful girls can look forward to a future with loving forever families, thanks to the Detroit Pit Crew Dog Rescue!